I’ve been experiencing that for a little bit recently especially from this podcast because I’ve had so much amazing feedback and so many people, listeners and friends have been saying, “I love your podcast. I can’t believe you’re doing so much. You are really rocking it. I’m so proud of you. You’re so successful.” And I’m kind of like, “Me? What are you talking about?” I have been having a little bit waves of that and my husband is really, really good about helping me stop and kind of smell the roses and he always says”You have accomplished this…” My downloads have been increasing every podcast release and honestly I am proud. I have been trying to take time and celebrate it a little bit but I am the queen of just blowing through successes, not stopping and really appreciating them and feel like an imposter. You’re going to find out that I’m a normal person who wakes up early, just works hard and has a goal and a vision. There’s nothing really special to what I’m doing or there’s nothing really I’m doing that you couldn’t be doing if you wanted to be…so Imposter Syndrome basically. If you feel like this then let’s talk about some ways we can get over it. 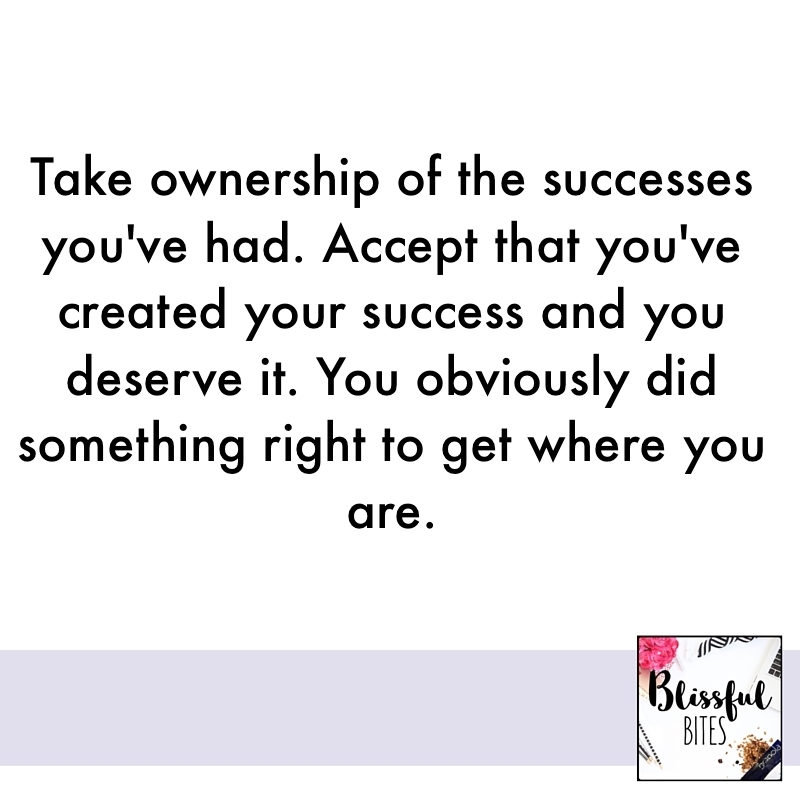 Take ownership of the successes you had. I have a hard time with this one but I’m really working on it. Accept that you created your success and you deserve it. You obviously did something right to get where you are so take time, stop and appreciate the success. Stop thinking so much about yourself. Have you ever just thought, “What are other people going to think of me if I put this out there, if I put this product out there, or this recipe out there or share this story. What’s everyone else going to think?” Stop thinking about what everyone else’s going to think about you. Just stop making it so much about you. No one is really worrying that much about you. Just focus on giving, sharing out value and sharing your story. People will really appreciate that and resonate with it. If someone else has something to say then they shouldn’t be part of your tribe and they can just move on. Stop comparing. You are on your own journey; your chapter 40 is not going to be the same as someone else’s chapter 40 so stop comparing yourself…especially to someone else’s highlight reel. We tend to share our highlight reel and don’t share our failures. We mostly just share successes. You don’t know what the next person has been through so only compare yourself to yourself. Share out your story. Be authentic, stay true to you and share what you’re comfortable with. Share the high’s and the low’s. This podcast is to share other entrepreneurs ups and downs so you can get a tiny little glimpse into what they’re doing. I hope you can find something tangible that you can kind of walk away with and also see that other people obviously have failures too. If you share out your highs and low’s people will kind of be drawn to you because you are just being honest and putting yourself out there. Everyone has doubts and everyone started somewhere. I personally love Chalene Johnson. She is someone who just always shares her truth and doesn’t ever try to sugar coat her story. I was listening to one of her podcasts this morning and she was just sharing about how she used to be a personal trainer with a broken down jeep. She used to go to people’s houses in her dream community and eventually now obviously she lives in that dream community. She totally doesn’t have to share about her start when how she used to work out of her jeep. The point is everyone started somewhere and just because you aren’t having all the success that you want to have right now, it doesn’t mean you shouldn’t try. Be authentic, share what you know and share what you don’t know. Also regarding Imposter Syndrome don’t let that hold you back. Stop avoiding things just because you think that you’re not good enough. Just believe in yourself and tackle them. 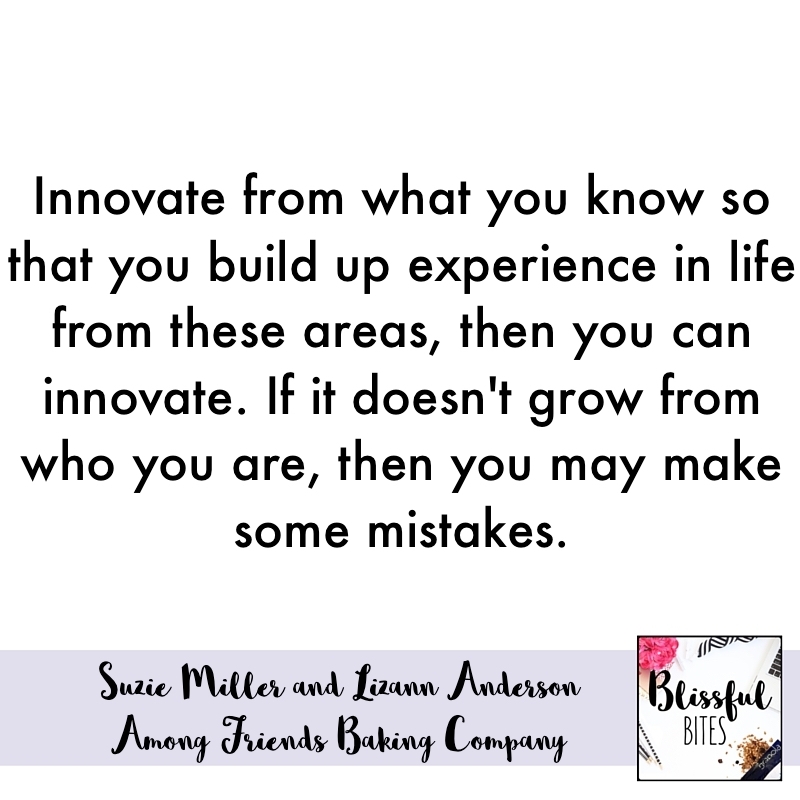 Maybe you haven’t started a new job or maybe you haven’t written the book you want to write or write a certain blog post or develop a physical product like granola or nut butters because you don’t think that you can do it or you don’t believe in yourself enough. Well you CAN do it. Make a plan and start and tackle all those things. Imposter Syndrome can be very real and it can definitely hold us back. I hope by doing these 5 things: accepting your own success, stop thinking so much about yourself, appreciate the people who support you, stop comparing and share your story (the high’s and the low’s) that you will get over this Imposter Syndrome. Your message is so important and you’re trying to just make the world a little bit of a better place and that’s so important and we need people like you. Stop the Imposter Syndrome. You are doing an amazing job. I would love to hear from you. I want to hear what has been holding you back and how you have glimpses of Imposter Syndrome. If you try any of these 5 things then definitely Tweet me or find me on Instagram or Snapchat. I think a lot of times even just saying it to someone can even help us get over that. Share out your story, share out your message and stop being or feeling like you are an Imposter because you’re not. Find me on social media and tell me how you’re working more on your business/blog! https://nicoleculver.co/wp-content/uploads/2016/01/Blissful-Eats-Podcast-Image.png 800 800 Nicole C https://nicoleculver.co/wp-content/uploads/2017/08/Nicole-Culver-Logo.png Nicole C2016-04-01 06:00:362017-08-30 15:41:59Are you an imposter? Today’s post is all about growing your business on social media. 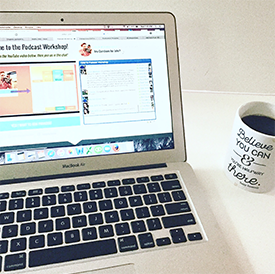 Our guest today, Amanda Brooks, shares her strategies to growing her blog and business. Over the last few years she is doubled her readers and following on each social media platform without pulling her hair out. She’s created the lifestyle she wanted thru following her passions, making the right choices surrounding her brand and strategy. Did you have a particular growth strategy to building your social media accounts? I’m someone who loves research, so I will read everything there is and anything that I can get my hands on. I researched some of the tactics and strategies that people were using and if I’m spending the time pouring my heart and soul and effort into writing blog posts that I think are actually valuable, I need to get them out there. I need more people to read them otherwise why am I doing this? One of the things for me that I knew even before I started was together we grow. Too many entrepreneurs and bloggers come at things from a very competitive attitude and I just don’t believe in that. There are enough readers for all of us, so I love sharing other people’s great content and that paid off for me. I think sharing other people’s work was key. Another one was really just taking the time every once in a while to read some of the latest industry news on what tactics are working and then continuing to test the map. What was the social media platform that really launched your blog growth? I have done pretty well on Twitter for a very long time but I think Pinterest has really evolutionized blogging in the last few years. The amount of traffic that it drives is mind blowing and I’m a little terrified if we ever stop using it. Do you have 3 quick tips to maximize people use in Pinterest? Make sure you’re using vertical pins. You can have the most beautiful food picture but if it’s horizontal when someone is scrolling through Pinterest, it just doesn’t grab their attention. Re-pin other people’s content. People want to follow people who are sharing great content. If all you’re doing is pinning one blog post per day from your website, you’re not building a Pinterst board that people want to follow. Pinning at the right time of day. There is a number of studies that show that the evening is when people tend to be on Pinterest, so that’s when you want to be putting your best stuff into their feed. Do you have a Pinterest scheduling tool that you like? I use Ahalogy and got in when it first started. What do you think is the most underutilized tool that entrepreneurs need to babe using? I really think that tracking and scheduling are sort of huge things. When I say tracking I mean setting up a spreadsheet where you literally track every dime that comes in to you. You track it from the perspective of what did you receive as a service? What did you receive as a product? What did you receive in terms of actual cash money. 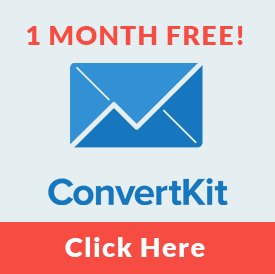 I think just seeing that every month is super helpful to keep you in the mindset of making money. You can think about how much you could make or should you be charging more if you have a different goal. Track that right along with your expenses, so that you know if you’re really over investing before you’re bringing enough income. Do you have any suggestions how to craft the pitch? In the early days I pitched brands like crazy because I knew that working with brands was (at the time) one of the fastest ways for me to grow. I think what’s key is look around at what brands are already sponsoring other people. It means they’re open to the idea. Consider what brands you truly absolutely love and talk about. When you first write to them make that clear and even provide them a link to a place where you already talked about them because 8 million people are reaching out to them. Instead of focusing on your numbers especially if you’re a smaller blogger you reach out to them, “Here is my audience and here’s how it’s going to benefit you if I talk about you.” I think that’s the biggest key from any PR person is when they get your email what do they want to know? They want to know how it’s going to benefit them to work with you, not how it benefits you. How has what you do change over the past few years? Definitely my writing style has evolved over the years. For a while I looked at what some of the big blogs were doing. They were sharing their personal day to day or what they ate and I tried that a little bit and then I tried doing very specific reviews of a product and those things didn’t feel quite right to me. I started looking around and realized there was really a couple specific types of content that people love to share. They love to share things that are educational, they love to share things that are funny and they love to share things that really set them apart in some kind of light, whether it’s showing that they’re an expert or something that’s emotional and really connects with them. I started focusing on that and thinking about that every time I went to write a post. I started posting less and by posting less I got more readers, I got more shares and my actual views went up quite a bit. What is the best way to make money on your website and just online general? There are the ads on the side, those might be very small income until you start driving more traffic but it’s a way to get started. Working with brand sponsors is a great tool if you can figure out what it means for you. What I mean by that is do you want to be a site that just does reviews? You can absolutely do that all day long. For me when I work with the brand I still like it to be a very informational post. How can we maximize our time without feel like we’re spinning our wheels? I think the key is not feeling like you need to do it all. Figure out which platforms you enjoy and which platforms are actually driving you traffic. Get really, really good at one of them and you can start to leverage that one to grow another. Pinterest, like I said, is absolutely the top traffic driver. I love the interaction though that comes from Instagram now. Do you have a few tips on how to grow your following on Instagram? One is to look at why people follow you. In my case, obviously I write about running, my channel needs to be all about running and fitness. If I randomly post the photo of my cat, it’s all right but if I do a whole bunch of cat photos and random here’s my kitchen and here’s this and here’s that, people are confused. That’s not why they followed me so when they find your photo because you’ve used a great hash tag and then they looked at your feed and then they’re like, “Wait a second. She was talking about food and has this beautiful food photo but the rest of her feed is like her kids and her cats why would I follow her?” Now Instagam has made it easier to have multiple accounts if you want to be able to share photos of your kids and stuff maybe you’ll have a personal account and then you have an account specifically for your business and it’s focused entirely around whatever your topic is. That is huge for growth. What about hashtags? Do you think you should be using them and how you should go about finding them? Hashtags are key for Instagram; it’s how people find each other and how they figure out who to follow. One of the things you can do is look at someone in your niche who is doing well, see what hash tags they’re using and start using them. I try to rotate through different hashtags so that I’m not using the exact same ones all of the time. I have a note file on my phone so that I can copy paste the hashtags and put them in. I don’t have to remember them off the top of my head. It’s the automated message when I follow someone on Twitter that says, “Hey! Thanks for following me. You can connect with me here, here and here…” It really, really bothers me and I always immediately unfollow them. Why do you think people need to have an editorial calendar as opposed to just flying by the seat of their pants? When I am brainstorming ideas it allows me to write things down. I can easily build on something that pops up here or there, so I’m never forgetting all of those ideas. It also helps me to stay on track if I’m doing sponsored posts. I know exactly what day it’s due so that I’m not working on it the night before. What does balance really mean to you? I don’t believe in traditional balance. Because balance for most us means that every day is this perfect ideal world of I spend exactly this much time working, exactly this much time with family. You have phases where you have a big project and you might be working lot. You have phases where things are easier and so you could step back and really invest in time with friends and family. For me balance is looking at things as a whole whether it’s food (“Did I generally eat well this week?”) or whether it is work. So, finding that space of knowing what’s your priority right now and leaning into those periods when you are a little bit less busy. It’s really easy as someone who works for yourself to just make yourself always busy. It’s choosing to see those moments where you can step back and really utilizing them to enjoy the life that you’ve wanted to create. How do you manage the juggle? Juggling for me is a matter of priorities. I have a notebook and every day I write down what I call my sacred 6. I write down 6 things that absolutely must happen that day and everything else if it doesn’t happen, that’s just life. 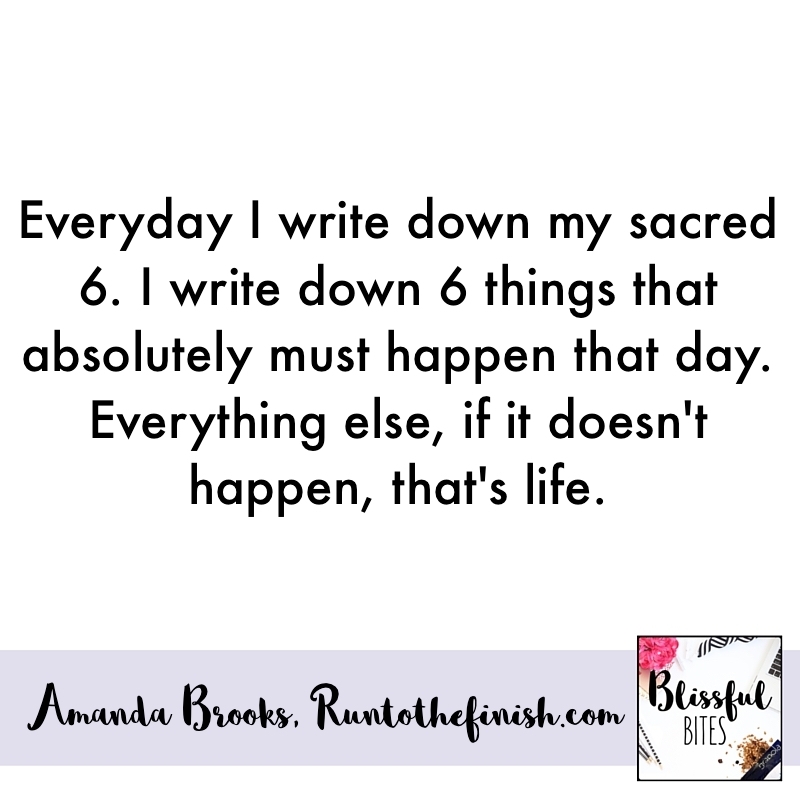 My sacred 6 might include meditating and running. I’ll look at what are 4 things that are going to move me forward in my business today because it’s super easy to get bogged down in the 8 million things that we need to do. If I can break it down to just focusing on these individual things today then I’ll know I’ve done what I need to do and tomorrow I can keep going from there. How do you manage to stay healthy while you’re traveling so much? Travel is never an excuse to skip a workout, it’s actually the best reason to work out. I love running in new places even when I’m on press trips, which means that your time is not your own. I will find ways to get up early or after dinner to go run because I know it’s going to give me more energy. It’s exciting to see a new place in a different way. I also really make sleep important. What is the one thing you want our listeners to know about building a brand? I think one of the things that is really key is to decide what you want to focus on. As soon as you decide who you’re writing for and what topic you really want to become an expert at that’s when you’ll start to see growth. 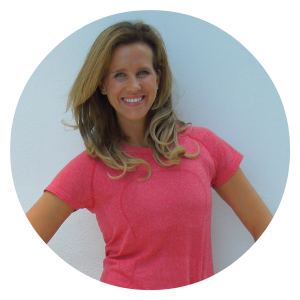 Amanda is an eight time marathon finisher who has turned her passion for running into an online business through her blog RunToTheFinish.com which has become a destination for running tips, motivation and nutrition advice. Over the last few years, she has doubled her readers and followings on each social platform without pulling her hair out! She’s created the lifestyle she wanted through following her passions and making the right choices surrounding branding and strategy. 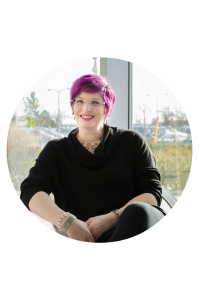 Amanda provides digital strategy coaching to fellow bloggers looking to create a stable income from their site and grow their following on social media. Learn more about her services here. Suzie and Lizann started Among Friends over a cup of coffee and a cookie. Their goal is simple they want to help people fill their kitchens fresh from the oven baked goods made from the best ingredients. Their mixes make baking easy for people on the days when treats from scratch are impractical or impossible and what I loved most about their products is that each of their mixes is handcrafted and named someone they loved. Tell us a little bit about both of you and Among Friends Baking Company. The business started as a natural outgrowth of spending time together raising young children. For the first time we were out of the conventional workplace. We were doing quite different projects such as decorating all of the tables for some event or designing birth announcements, children’s bedrooms, just so much fun. As the kids were getting older they were starting to want more treats that had sugar in them and so I found this great oatmeal chocolate chip cookie recipe that was so easy and loaded with oats and I made some and took them to the lake and the kids just gobbled them up. From there Luzan really started tinkering around with the recipe and making them whole grain, getting rid the white flour and that’s really what we’re all about is creating whole grains for everybody that are so easy to make and are delicious. (Lizann)I am a born tinkerer. I cannot leave a recipe alone. I have notes in all my cookbooks. I am somewhat of a nutrition zealot, I like to think that I’m open to all kinds of ways of eating but I certainly was very adamant that I pass on some of this to my children. I have 3 boys and they were gobbling everything in sight and much what was available ten years ago was not good. When Suzie came to the lake with this cookie and I saw the kids gobbling it up and I thought, “They’re getting a decent amount of oatmeal.” I just have to make this even better. I think it was a couple years ago when I heard my kids say, “Mom we need more flax seed to make the smoothies,” I almost cried. It’s finally happening, they want to eat healthy and that’s really so satisfying. How did that first conversation go when you actually decided to go from making cookies as mom to becoming an actual business owner? Lizann: Because I was a writer who was very theme oriented and Suzy as the designer we moved very quickly from making cookies to concept. The concept in that part came actually quite easily for us. We really wanted something that symbolized our friendship and offered friendship to other people out there. The truth is you can’t do everything you want for your kids, so sometimes you have to find some good shortcuts. One of the things that I read was, “One of the nicest things you can do for your kids is to make them homemade treats because you know what’s going in them…” I really took that to heart and Suzie did as well. Suzie: I actually said, “Oh my gosh! Our mom friends are going to love these…” And that’s how it started. We just put all of the ingredients in a clear bag with the bow on it and said, “Would you be interested in these for 5$?” Everybody loved them. We couldn’t keep up with demand. Do you think that when you went into business it made it easier having a partner? Suzie: Absolutely! 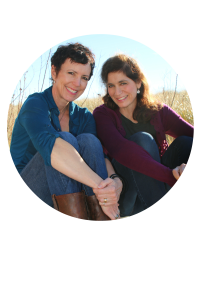 There are just so many facets of the business that you cannot even comprehend, so to have someone else to bounce ideas off of it’s just wonderful and Lizann is like a sister to me. Do you have clear assignments and delegations? Or do you blur the lines and work on the same things? In the beginning the lines were blurry. We worked on everything together from the concept to packaging to writing to the recipe development. We couldn’t sustain that. At this point we actually are in very separate spheres, we have to make time to get together just to have fun. We focused on sales initially. I started taking the mixes door-to-door to smaller stores and now I focus on the natural stores like Whole Foods, Sprouts and retailers such as that. There are a lot that goes into sales instead of just not knocking on the door and say, “Hey! Do you want these?” You have to make sure they’re going to sell and you have to make sure that the store that you go to has the right product mix. It’s just critical to your business. In all the things you have done in the past few years, what has been your most proud moment so far? We decided Among Friends was the name of our company and we had to submit that and wait for it to be approved. When got the official certificate in the mail that was a big moment. My nieces a couple of years ago were so cute. They were sitting at my counter, we were baking and they turned the package around and they said, “Wait a minute! Aunt Suzie is that your picture on the package?” They said, “You’re famous!” That just warms your heart. Can you tell us specific time where you did something that was like a flop or just a struggle you went through or a disappointment? I made a hundreds of cakes, gluten-free cakes before I got one to rise because when you take the starches out of a cake you recognize how critical it is to get the exact combination of dry ingredients to wet ingredients. When we first started we need to get new UPC’s for all of these products so what did I do? I went on the internet. You can buy them inexpensively. I got ones that had been previously owned which is not a problem when you’re in some smaller stores but as soon as you become larger and at a national scale you have to have a family owned code. We had to change all of our UPC’s. So live and learn. Initially it was a door-to-door or a back door to back door. We used to go to Whole Foods and drop off our product. Obviously overtime when we really started to translate our business into a sustainable model we knew that wasn’t going to work. We can’t be in all these places at one time so we talked with several people. I had a close friend who was a business consultant who worked in the food area so we captured his talents and opinions and eventually he became part of our team for a short period. We had no business background but we knew what we didn’t know. We also availed ourselves of my husband’s knowledge, he’s a businessman and has lots of good insights. We made a lot of mistakes until we really brought on someone who is now our CEO with 35 years of experience in the food field and operations. In all your growth what was the hardest part or the biggest struggle with growing? Finding employees who have the same passion and work ethic that we do, to help us grow. The other thing is the distribution model for natural foods is a hard one to capture because you need to be with some very big distributors to get into certain places. Then you’re too small for them to pay much attention to you plus all the fees and other things associated with being involved with them are very burdensome. We started out with the gunshot really going out into that world and then we had to step back and do it more strategically. What would you say to someone who is right in that cusp? Do you have some tips just to help them go from that small business to getting into more of a major distribution? It’s really important to make sure that you have the support of the retailers before you go into distribution because if you go to let’s say a Whole Foods and that buyer says, “Yes. I want to put you in all my stores.” It’s much easier to go to the distributor and say, “look I’ve got 40 stores for you to put my product in.” It’s going to work a whole lot better than taking it to the distributor and hoping that it sells. I say something even in the beginning, “Depth before breath.” I think you really need to use your test stores to figure out what works and then once you know that you can expand. Your products are named after people you know how and why did you decide to do that? That came up very, very early on. I’m not attracted to anything that doesn’t have meaning. They’re associated with people because you associate recipes with people. It was also a way of honoring the people we love. What would you say is your biggest piece of advice to someone who is just starting out? It’s really important to stay focused on the end goal and not to get too high not to get too low. You’re going to have ups and downs it’s just the way that it goes. You’re going to have struggles along the way and you have to choose to learn from those instead of beat yourself up about it. (Suzie)I would like to be the leader in the whole grain world. I want to make it easy and affordable for everyone to have whole grains incorporated into their lives and have a wonderful treat that’s easy to make and brings their families together. 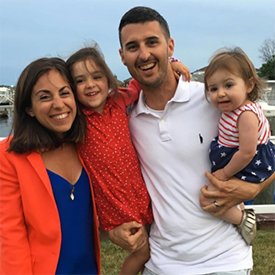 (Lizann): I would like us to be part of the resurgence of Michigan and the Midwest and be able to offer a place to work that is fun, creative and where the learning never stops. At the same time have a good enough business model so that we can not only make money but offer employment to people in this area. How do you stay balanced especially both of you being moms as well? Suzie: Every day I make sure I begin with prayer and meditation and help I can make a difference in a positive way each day. And also I have to make sure I get my work out in. Lizann: We stay balanced through fresh air, outdoor exercise, friendship, fun, we all have to put some of that in our day. For me reading is very important that also gives me a perspective. What has been a successful marketing technique that you have done with Among Friends whether it was a giveaway, a promotion or a partnering with a company? When we get customers writing to us, we personally respond to those people. That has gotten us so much ground with people because they realize I’m hearing from a real person, they’ve taken time to write me and answer my question, sometimes it’s a compliment and sometimes it’s a complaint. Share one thing that you want your customers to know about each of you that you think they don’t know. Lizann: Our customers don’t know that I am addicted to listening to books on my CD player. I go to the library and get CD’s. When I’m baking at home I’m always listening to something that enriches my world. I love memoirs, particularly food memoirs, and actually I first heard about the Gluten-Free Girl when I read her food memoir. Last week she published a blog about us and it was such a thrill to be able to talk to her. Suzie: I love to dance and I can still do the splits. Lastly, I still illustrate and paint in my spare time. Suzie Miller is a passionate entrepreneur, creative graphic designer, energetic small business owner and devoted mom and friend. She co-founded and co-owns Among Friends, a hand-crafted baking mix company that seeks to help people fill their kitchens with fresh-from-the-oven baked goods made from the best ingredients. Suzie is the mother of three children and focuses primarily on Among Friends’ brand identity, business development and retail relations. Previously, she serviced as a graphic artist for an advertising agency and a fine art consultant. A native of Toledo, Ohio, Suzie holds a BFA in Graphic Design from Bowling Green State University. She currently serves on the leadership committee for the Harvest of Thanks for the Toledo Northwestern Ohio Food Bank, where she helped to serve millions of meals every year and has supported fundraising efforts that secured more than $300,000 in additional funds over the last several years. Lizann Anderson is a creative entrepreneur, persuasive writer, and committed mom and friend who used her professional experience and passion for sharing stories and healthy recipes to co-create the rapidly growing business, Among Friends. In keeping with Lizann’s love of storytelling, each mix is named after someone the founders love. Lizann is a native of Toledo, Ohio, and resides now in Ann Arbor, Michigan with her husband Gerry and three sons. Lizann holds a BA in English from the University of Notre Dame and a MA in English Literature from the University of Chicago. She helped launch the Neutral Zone Teen Center in Ann Arbor, Mich., which serves as a diverse, youth-driven teen center dedicated to promoting personal growth through artistic expression, community leadership and exchange of ideas. Lizann currently volunteers at local Ann Arbor public schools to teach students about whole grains and good nutrition. Without Failure There is No Success! In business, there are ups and downs. It’s just the way it goes. We have failures and then, hopefully we have success. I know that it so easy to get on social media and caught up in the comparison trap. With Blissful Eats and the podcast I have been sharing a lot about my success. In general, it’s really hard for me to stop and celebrate little things. I’m the type of person that just is like, “On to the next thing.” Something I’m trying to do is just stop and celebrate. After I posted a recent success on Facebook, I realized that my Facebook is totally my highlight reel. I haven’t shared many of my struggles, but at the same time that’s what social media is, isn’t it? I’m such a positive person and I’m very optimistic. I’m totally a glass half full person. 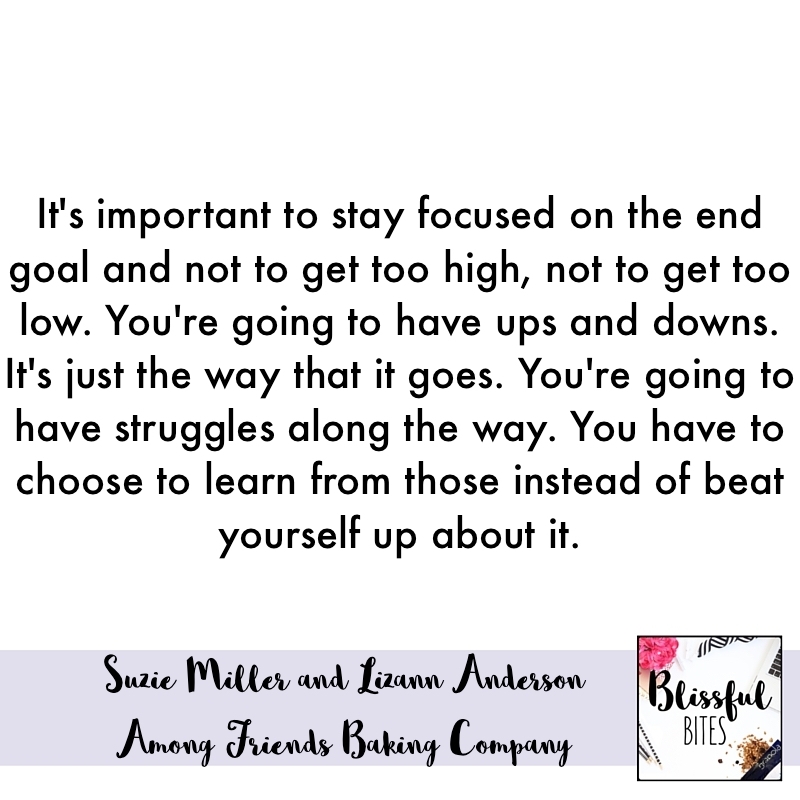 I like to say I’m a realistic-optimist, so it’s not in my nature to just really share any of the huge struggles we have with Blissful Eats or as an entrepreneur in general. I try and keep it real in other ways especially as a working mom. I just wanted to stop and take a second and just be transparent. When you see all the success that someone is having, really what you’re not seeing is all the failures that they have had along the way. No one is having success after success after success without having even more failures. I’ve gotten so much support from everyone and so many people saying congrats and I appreciate EVERY single comment (TRULY!) but I just wanted to take the time to say that without the failure there is no success. Chalene Johnson shared one of her recent struggles she had in her business and I basically recorded this right after I listened to that. It was already on my heart and I took it as a sign. Just so you know that I’m a real person with failures as well as successes, I will tell you that we did have a pretty big setback. We lost one of our biggest accounts with Blissful Eats because honestly we were taking a loss every time we sold to this big company. They wanted very low pricing to pass off low pricing to their customers and we just couldn’t do it anymore. We tried to raise our prices so we would actually make a (SUPER SMALL) profit on the sale of each bag and they dropped us. I was super, super bummed about it for a few days because I felt like it was a great way to just get in more people’s hands. The reality is when you are in business you need to make money Especially in the food business where there is a ton of overhead, packaging, ingredient cost and so on and so forth. To have a loss and have it cost money on every bag is just insane. After having that realization that I need to move on and focus on accounts that do make us money (so we can survive and grow as a business…and stay around!) I’m moving onward and upward. After that “failure” came a purchase order for Whole Foods Union Square which was absolutely amazing. The point is, I just want you to know that social media is everyone’s highlight reel. I try to be transparent, I try and share my struggles. 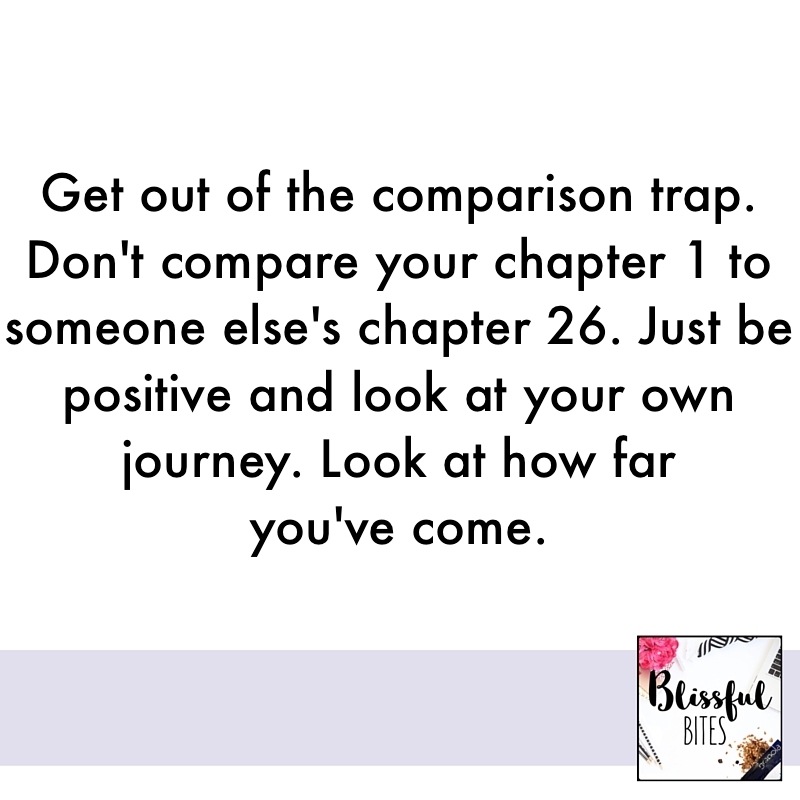 Even still on social media you are really going to see all the successes and wins, so get out of the comparison trap, don’t compare your chapter 1 to someone else’s chapter 26. Be positive and look at your own journey and look at how far you’ve come. Don’t compare yourself to the next person. I hope this helped you just stay positive where you are in your journey. If you are in the middle of a failure or you’re feeling high from a success then just ride it out and keep going, put one foot in front of the other and keep a positive light. https://nicoleculver.co/wp-content/uploads/2016/01/Blissful-Eats-Podcast-Image.png 800 800 Nicole C https://nicoleculver.co/wp-content/uploads/2017/08/Nicole-Culver-Logo.png Nicole C2016-03-25 05:40:352017-08-30 15:42:44Without Failure There is No Success! When you’re starting out with your business, it’s SO important to figure out your WHY. You can’t move forward in your business if you haven’t figured out what your WHY is and WHO you are trying to work with. Once you have those inner workings done, you can get your marketing strategy dialed in and get your message out there in a big way. Nicole Holland is going to share some great ways to help us figure out our WHY and those inner workings in our business. 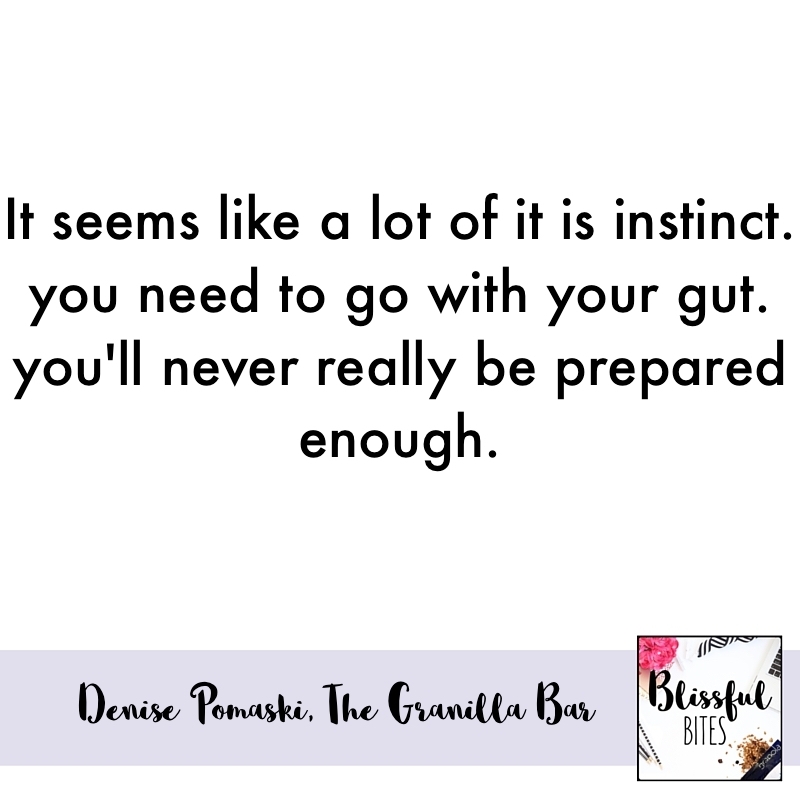 These are the highlights and take-aways from the Blissful Bites Podcast interview with Nicole Holland. Get your business vision clear. Figure out who you’re serving and why you’re serving them. Most people want to work on their ideas first, but you have to figure out the who and why FIRST. You need a why. If you’re not being true to who you are what you stand for, and what you’re mission is, it’s not sustainable. When people get into entrepreneurship they act like employees without a big vision and they are unsuccessful and give up. You have to figure it out and do the inner work of WHY. If you don’t know why you’re doing what you’re doing, it’s not going to last long. WHY do you want to do this? WHY do you want to grow? Move beyond what you’re doing. Find your inner value and passion and what lights you up. If you don’t it will always be a “job”. Don’t get caught up in the comparison model. If you look externally at other people in the field and judge…then don’t. You’re not them. Get really quiet. Turn off the sound and ask yourself, if money didn’t matter and I had to do this for the rest of my life, would I be happy? Tune into your inner wisdom every single day. Don’t be persuaded by other people’s messages. Recharge your brain and your business daily. Gratitude. Be appreciative every single day. What is the most effective form of social media? Relationships. People just post things like billboards. Don’t look at what other people are doing. Model the behavior that you want from other people. Look at social media like it’s another relationships building tool. You wouldn’t go into a PTA meeting and say to other parent’s “ask me about my wisdom”. You would ask them questions and get to know them first. Be in social media modeling the behavior that you want to get out of it. I recommend to think about what is fun and easy for you regarding social media. Don’t try to be everywhere. Wherever you are, be there well. Get to know the platform of choice really well and get to know it really well. Engage with people and build relationships, without that, social media is not useful. Find what’s fun for you and focus there. If you don’t want to be on video, then don’t be. It doesn’t matter how many people are using it. What should entrepreneurs be focusing on to grow their brand? Professionalism and authenticity. Have taste. Put things out there that are authentic to you. Put things out that will help people make a connection to you. What is number one piece of advice for someone who is just starting out? You need to know yourself. You need to know WHY you’re doing what you’re doing. What do you want to achieve and for what purpose. Not only the monetary and material things. Get clear on all parts of your business, especially the WHY and WHO you want to serve. Have an awareness of who you’re serving and why you’re serving them. It drives me crazy when people are selling just to sell. They don’t have their WHY dialed in. They’re just doing it because they’re only concerned with paying the bills. Have you’re integrity in check before you go out there selling. Where is the line between giving away things for free and paid services? One of the things that I do is ask myself, “does this feel good or does this feel icky?” You’ve got to know how much you’re willing to give. Ask yourself, would I give this to anyone? If the answers yes, then do it. If someone asks you a favor and it takes 5 minutes or less, then say yes. If it takes more, then say no. There’s nobody should tell me what I should do but me. 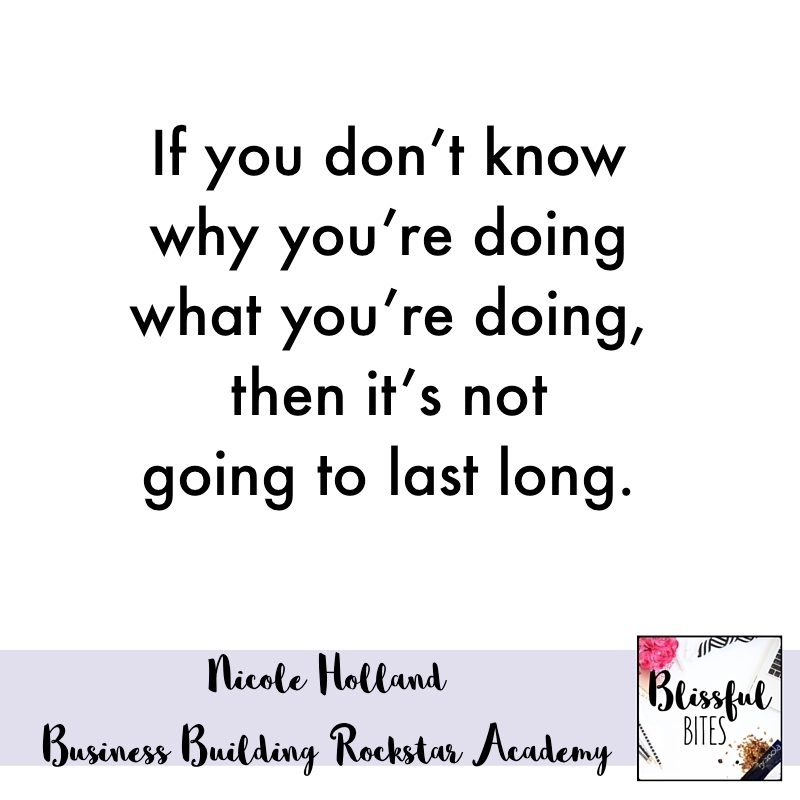 Today’s interview was with Nicole Holland from Business Building Rockstar. Click here to listen Nicole Holland’s interview in iTunes. Nicole Holland is a Master Coach and Marketing Strategist who specializes in helping service-based entrepreneurs take inspired action, to build profitable and purpose-driven online businesses. She is the creator of the hugely successful Business Building Rockstar Summit, which is a month-long, annual event where she interviews industry leaders about their favorite digital marketing techniques and platforms. 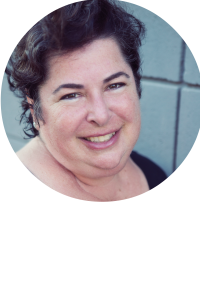 Nicole works directly with clients who have a big mission and helps them design and implement strategies to realize their full potential through her coaching and mastermind programs. Today’s podcast is kind of near and dear to my heart. 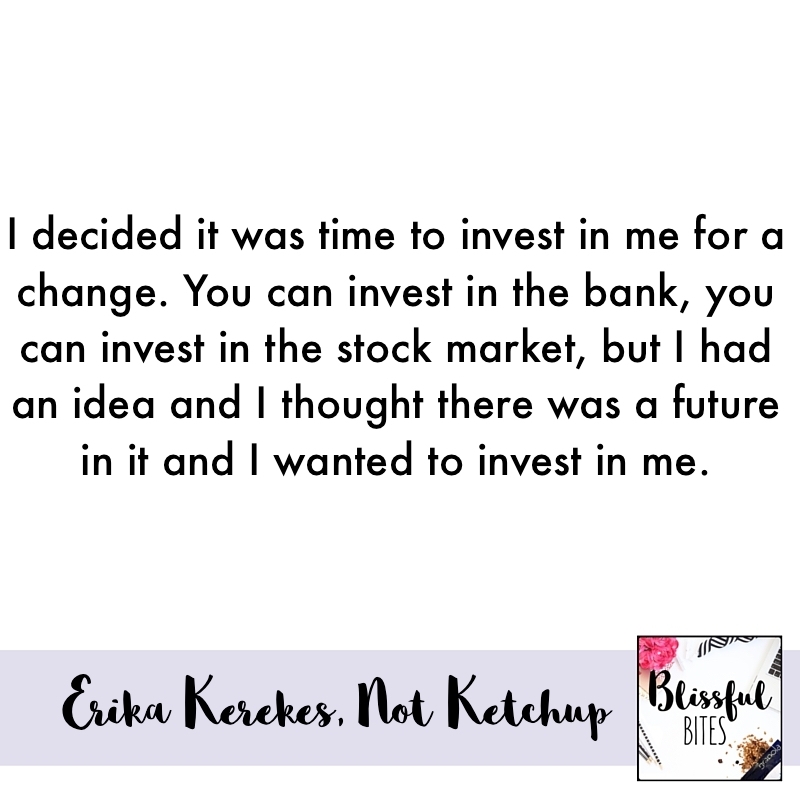 The interview today is with my friend Erika Kerekes from Not Ketchup. She has been a true support, mentor and friend for me over the past few years of running my business. She has SO much knowledge about the food business and speaks so well about it. On another note, this podcast is always a work in progress, so I’m trying to figure out how best to write and use these show notes/blog post. If you have any ideas, I would LOVE to hear them. I want them to be valuable and helpful for you! Erika Kerekes is trying to turn the condiment world upside-down with NOT KETCHUP, her all-natural “ketchups” made from (other) fruits instead of tomatoes. An award-winning food blogger, Erika made her first batch of Cherry Chipotle Not Ketchup after a very productive trip with her two sons to a u-pick cherry orchard. She spent the summer of 2013 making “ketchup” out of every fruit she could get her hands on and now offers five flavors: the original Cherry Chipotle plus Blueberry White Pepper, Smoky Date, Spiced Fig, and her newest flavor Tangerine Hatch Chile, which she makes without any added sugar (hello, Paleo friends!). A longtime writer and marketing executive, Erika is a native New Yorker who moved to Los Angeles two decades ago. She still can’t believe she lives in a place where food grows on trees in her backyard. How would you say that being a blogger and your consulting business helped you in starting your own physical product line? Blogging helped me in two ways. One way, I had a lot of contacts in the food industry, from retailers to distributors to manufacturers to start up brands, like I now am, to PR people and marketing people. I had met people pretty much in all avenues of the food business and I didn’t know it at that time but every time somebody told me what they did and what their business is, apparently I was listening because when it came time to start my own business not only did I have those contacts under my belt but I knew a lot more than I thought I knew. I was familiar with the process of figuring out what the market needs, how much you’re willing to pay for it and how you are going to describe it. You look at all the competition to figure out where you fit in and how you’re different, you figure out how you’re going to deliver the product and how much it’s going to cost you to make it. I had done all of that in business. I had never done it for a product I held in my hand and in my house but I had done it. The things that I thought that I was more prepared for, but actually wasn’t, is all the “stuff.” I hadn’t really come to terms with the fact that when you sell a product that’s a physical product, there are all these other issues that you have, like breakage and spoilage. Things that go out of date and you have to pay to store it and then every time you do an event you have things like racks and table cloths and signage. The stuff part of it was a little bit overwhelming. What has been your proud moment so far? It’s totally dorky but definitely my proudest moment was seeing the first bottles on the shelf of a major retailer at Central Market in Texas. I walked into the store and I saw my bottles not only on the shelf but on an end cap display. My younger son was with me and I started to cry. I was so excited, happy and proud. A similar moment was when I first saw my bottles on the shelf at Whole Foods because it’s the holy grail and I had been working towards Whole Foods for a while. They had my product on the shelf on opening day. I walked in and I saw them on the shelf and the tears came. I did the super dorky thing and I stood in the aisle for about an hour and every single customer that came by I said, “I’m really sorry to bother you but I’m a start up Food Company and those are my products and this is the first Whole Foods store. Can you take a picture of me with my product?” I asked about 20 customers to take pictures of me standing next to my product. That gave me the opportunity to talk them about my product some of them bought them? That worked well but I wasn’t dorky to be strategic, I was accidentally strategic while I was dorky. I would say find someone with 2 million dollars because that’s what your going to need in marketing to develop a national brand to the point where people are going see it in a store and know what it is and think, “I heard about that and pick it up.” I consult with startup entrepreneurs and go over their plans and a lot of the times they realize that they don’t have anywhere near enough money to do what they thought they wanted to do. One of the things I tell them, “Look, I’m a little bit of a downer. I will definitely say to you I think there are things you do not want to do.” One thing you don’t want to do unless you have 2 million dollars is assume you’re gonna be a national brand. Tell about the moment it went from hobby to business for you. For me, it was all about the money. It was a hobby while I was making it in my kitchen; it was a hobby while I was refining the recipes. In the summer of 2013, I had been writing this food blog for years, I took my kids in June of 2013 to pick-your-own cherry orchard North of Los Angeles. They picked 30 pounds of cherries in 30 minutes and so we went home with a bath tub full of cherries and after a day I had made some jam and I had made a couple pies. I realized I still had 15 pounds of cherries left and my boys didn’t eat jam, they eat burgers. So I thought what can I make that goes with burgers? I did a little research and I discovered that adventurous chefs and in fact historical chefs had made ketchup out of things that are not tomatoes. I decided to make a batch of ketchup out of these cherries and my husband, who does not like tomato ketchup particularly, tasted it and said, “Wow! That’s really good.” Then during the summer 0f 2013, still a hobby at this point, I made ketchup on every fruit I could get my hands on. Everybody really liked it and I kept giving people things to taste and they were like, “What is this? This is fantastic!” The moment I knew it wasn’t a hobby was when I paid money to a food chemist to take my home recipes and turn them into formulas that a factory could use. At the point I was making the first batch and spent the money for label design, logo design, label printing, money for ingredients, money to my factory to make it and a trademark search. I realized at that point I was in for about $15,000 and that was the point at which it felt real. I had the money I had been working as a marketing consultant, I was very busy, I had a lot of clients, I worked all the time, and I had the cash. I had a good first half of 2013 and I decided it was time to invest in me for a change. You can invest in the bank, you can invest in the stock market but I had an idea and I thought there was a future in it and I wanted to invest it in me. Tell us what’s the ‘Why’ in your business? I think I have two why’s and one is about the food. I do love feeding people. It makes me so happy when someone I don’t know leaves a comment on Amazon or emails me or post on Facebook and says, “I bought this product, I fed it to my family, they loved it!” It makes me really happy. My other why is that professionally I think it makes me more interesting and appealing professionally and I think it is good for me as a business person to have experience with this kind of business. I think it makes me more authoritative when I work with other businesses on marketing and communications. I think it gives me a really different and personal perspective on calculating the return on your marketing investment. For me a lot of the ‘why’ is I think it has made me a much more savy business person overall which helps both my business and my clients. What would be your biggest piece of advice to someone who is just starting out? My biggest piece of advice would be to make sure you understand the numbers before you spend any money because there are things you’re going to want to do that costs money. You don’t want to be in the middle of it and feel like you really need to do something in order to grow and not have funds to draw from. What I tell people at the beginning is you need three times as much money as you think you need, if you want to grow. If you want your business to grow slowly and organically, make sure that you are making a little bit money on each sale and take that money and reinvest it. If you want to grow it quickly you have to have some bank to draw from whether it’s the bank from you or the bank of your 401k or the bank of grandma or whatever. How do you actually stay balanced? What do you do to make sure your day is successful? My days are still regimented. I still hold down a full time job. I am at that job 8:00 am-5:00pm or 9:00am-6:00pm and that has really forced me to be much more efficient with the time I have left over because I also have children, a husband, friends and I have a mother across the country who I talk to everyday. I have made the conscious decision that I am not going to grow Not Ketchup as quickly as I thought. At first I thought it was gonna be super big, super quickly. I have pulled back that expectation because I do still need my full time job in order to provide money and benefits to my family and to provide the seed money that I still need to help Not Ketchup grow. I try to make sure that every day I am doing a little bit of the things I needed to do. I have a to-do list in Not Ketchup. It is in my face at all times. Every day I get one thing on that to-do list done and there are bigger things and smaller things on the weekends I try to tackle. I make sure that every day I call my mother, I spend as much time with my kids as they want to spend with me, every day I spent time talking to my husband, every day I make sure we sit down to dinner as a family and whatever time is left over I use it well. Tell us one thing you want your customers and our listeners to know that you think they don’t know. I think they probably don’t know how many hours in the day I spend thinking about this business and how I can make my customers lives and tables better. Have you heard of the Pareto Principle? Or the acronym of FOCUS? That’s what we’re talking about today. The Pareto principle is named after an economist who figured out that 80% of your results come from 20% of your efforts. I really think focus is so important. I want you to get away from the shiny object syndrome, which means you’re always rushing to do the next best thing in your business because it’s going to be “it”. FOCUS on one thing until you’ve had success! FOCUS = Focus on One Course Until Success. Keep powering on and working on your one course/product until you’ve had success with it! Don’t add other things until you’ve really perfected your first thing. 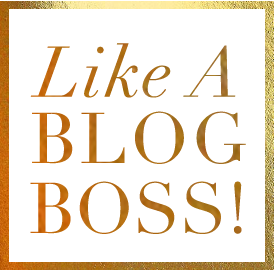 If you’re working on streams of income and you know having passive income is a way for you to make more money BUT If you’re offering five different programs and you’re just making a little bit of money and you’re not giving anything your full focus it deserves and you’re not doing any one thing great. Take a look at that one thing that you can do really great and give that you’re full focus and energy. Stop being all over the place and focus on one thing. Let’s talk about the Pareto principle. 20% of your time produces 80% of your results. You should be spending more time on the activities that are giving you 80% of your results. If you have a blog or website, look at what is giving you most of your traffic and spend more time there. Like Katy says, look at what is working and what is fun? If Instagram is working and twitter isn’t, then spend more time on instagram! Look at your analytics. What is creating the most business and traffic for you? What can you do to reward those people/platform? How can you produce more content that works? If there was a recipe that got tons of engagement and feedback then take note of that and produce more of that content. If we’re talking about instagram, look at what gets the most engagement from you. Is it a recipe, workout tip, quote, picture of your kids? We think we need to be everywhere and do everything, but that’s not true. Figure out what is working. You don’t need to be everywhere. Focus on quality, NOT quantity. What do people like to see? What do they resonate with? Get more traction by doing more of what is working well. I want you to think about what is working the most for you? Put more effort into that. Shift your focus. Instead of thinking you need to be doing 2 pictures on instagram, a blog post, 10 Facebook posts and Pinterest, just pick a few! Brainstorm ways you can improve on your 20% (what’s working)! Schedule those tasks into your calendar. Try theme days! Have a focus and a plan for every single day so you’re not multi-tasking! Get focused! What do you need to focus on? Make sure you figure out what the 20% is that produces 80% of your results! Let me know what activities you’re doing to produce more results for your business! https://nicoleculver.co/wp-content/uploads/2016/01/Blissful-Eats-Podcast-Image.png 800 800 Nicole C https://nicoleculver.co/wp-content/uploads/2017/08/Nicole-Culver-Logo.png Nicole C2016-03-18 04:00:022017-08-30 15:43:15No More Shiny Object Syndrome! Christy Harp, turned her catering business online and grew it all over Instagram. She is going to share some valuable tips today and give you a few things that you can implement right away. 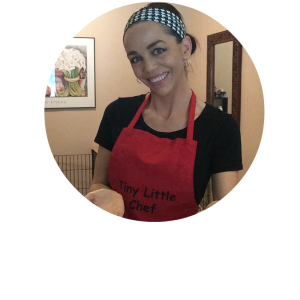 Christy harp has been a chef for over 15 years and has built her business online in the form of a membership site called TLC Foodies. Christy’s goal is to help women achieve their health and weight loss goals, have greater understanding of food and nutrition without the use of restrictive diets, calorie counting or the elimination of carbohydrates so that they may educate the nest generation. Tell us a little bit about you and your company and what you do. I have been a professional chef for 17 years. In addition to that, I’m a certified weight management specialist, a pilates pro, a busy wife and mom to a two year old, so I’m super busy. I was in local catering for a really long time and after the birth of my son I just really wanted to stay at home and focus on that. I started writing recipes, I created a few e-cookbooks and then formed TLC Foodies, my membership site, out of necessity of where to house my recipes. I had them written on scraps of paper and journals. I was actually doing a periscope broadcast one day and mentioned it. I got off the broadcast and I had tons of people asking how they could get my recipes. So it kind of hit me, I was like, “I could do the recipes but I’m going to combine it with my training as a weight management specialist. I’m gonna throw the food in there, I’m gonna throw the nutrition in there, they’re gonna have access to a ton of stuff so that’s how foodies kind of came to be, out of necessity for me. How did you actually figure out how to take your local catering business online to reach more people? I just started using Instagram for fun. I started posting recipes and people would ask about it. I kind of played around with it for a little while and after about a year, and not getting a lot of traction I decided to take a few courses. I took a business course and an Instagram course and from each of those courses I took great nuggets of information and I kind of concocted my own little strategy. In a year I took my following on Instagram from a few hundred to now I’m at about 7200. What would you say your unique purpose is? There’s always been 2 things that really spoken to me. I actually went to college to become a teacher and dropped out just about a semester before I would have graduated to go to culinary school. 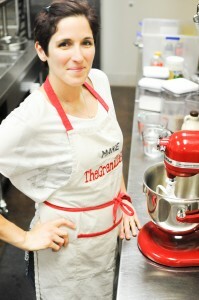 My purpose is to take those two things I am super passionate about: teaching and cooking and combine them. That’s how foodies was born and now through different courses that I teach I really get to use my love for teaching, helping and nurturing people. 1. Do not use the big hashtags. Let’s say you are a fitness coach and you see everyone using fitfam so you use that. I want you to do is search fitfam and then scroll down the list and use the things that don’t have millions of tags. Why? Because your gonna stay in that tag longer and people are going to find you. 2. Colors. It’s all about colors. 3. Consistency. You need to be posting twice a day. I know with me having 7000 followers I know my followers are not on all the time. If your post twice a day, you’re doubling your chances of getting into their feed. What would you say is has been the biggest game changer in your business? The biggest game changer was listening to what my followers want as opposed to what I thought they wanted. I was busy creating meal plans and recipes. My Instagram course that I teach came about because people asked me to teach it. 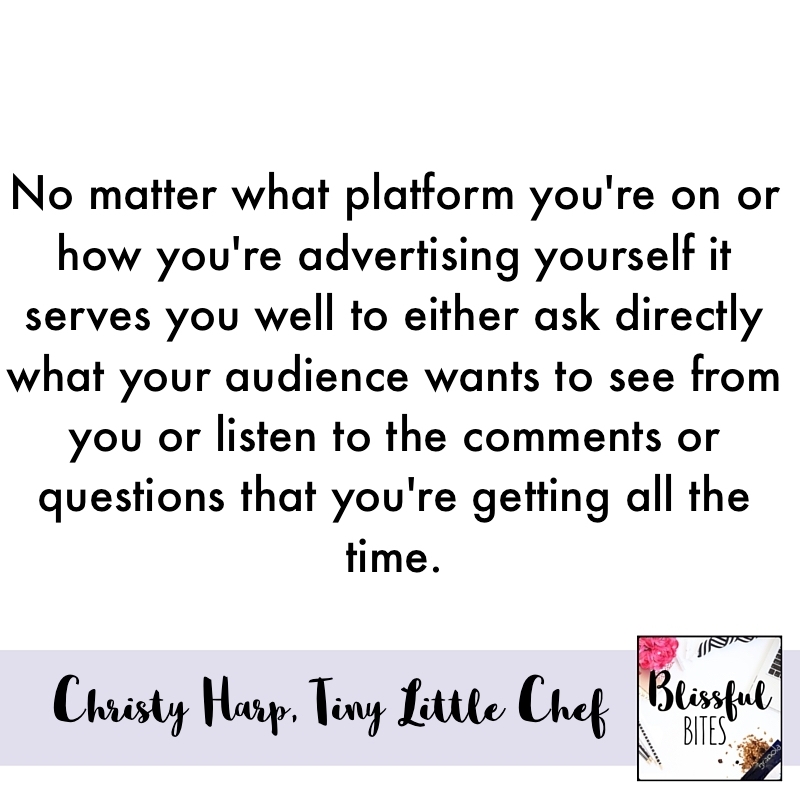 I think no matter what platform you’re on or how you’re advertising yourself it serves you well to either ask them directly what they want to see more from you or listen to the comments or the questions that your getting all the time. If this is the stuff that people are wanting to see from you then you should take the time to see if it’s worth it. I think we always have so many ideas in our head and we’re trying to figure out how we can implement all of them. If you sit back and you listen and you ask questions you’re going to find what it is you’re suppose to be doing at that point in time. Can you share a struggle in your business? About 13 years ago, when I was cooking in restaurants, I started to flip houses, I still kinda do that on the side, but I wanted to start a soap company. I went to like Michael’s craft store and bought the fragrances and the soap molds and I packaged them all up nicely and I decided to name it Snooze, and quite frankly it was a total freaking snooze. It was horrible. Tell us the most super high. I think when I launched The Foodies website. I spent like days with very little sleep creating the website and they loved it! It was such great validation. Did you actually have business training when you launched your catering business and when you launched your online business? I did not have formal training. My mother is actually a pretty well known entrepreneur here in Arizona so I always listen to her and picked up on tidbits. I never had formal training. I’ve always been the trial-and-error girl and I love to figure stuff out on my own. What would you say to people who are looking to delegate them? I knew that if I kept wasting so much time every day, messing with the back end of the site and putting in recipes and not doing what I’m good (creating the recipes or teaching people) I knew it was never going to go any further. I had to step away and let someone else do it so I could do what I am great at not what I’m good at. Why did you end up choosing Instagram? When I started Instagram wasn’t completely saturated yet and I just loved that it was pictures. Do you have any tips for people who want to get started on Periscope but are a little bit hesitant? Periscope it’s just all about becoming comfortable. Say what you have to say. Don’t really script it and maybe write down a few points. Be yourself and if you are yourself people will resonate with you. What would you say to an entrepreneur who really is looking to get started? My number one piece of advice would be to seek out someone who you admire. Tell us one thing in your day that contributes to your success. I always write down 10 things that I’m grateful for in ten different categories. I’m very diligent about how I use my time. Especially on Tuesday and Thursday when my two year old is home with me all day. When I have that hour and a half while he’s napping I’m very diligent about what I do. I think its precious time and I think it pays to really get your systems in order and be organized so you can do the most effective things in the least amount of time. Share one thing that you want our listeners and your followers to know about you that you think they don’t know about. I feel like I have a tendency that comes off as pretty serious but I am not. I am a crazy goofball who loves like 80’s band. How can we find you and work with you? Denise Pomaski from the Granilla Bar has been cooking for most of her life! For the past 3 years, she has been working on exciting new Paleo recipes that infuse recipes from her Itailian heritage with the Paleo lifestyle! As well as being what we like to call our at home “Paleo chef”, Denise is a CrossFit athlete, as well as, Crossfit Level 1 certified and a certified Crossfit kids Coach. Denise was born and raised in Montreal, Canada. However, she currently lives in Houston, Texas with her four children, loving husband, Kevin and her two Mastiffs Izzy and Odin. Tell us a little bit about you and the Granilla Bar. I am a mother of 4. I have currently a 10-year-old, two 9-year-olds and a six year old. I am born and raised in Canada but I’ve been in the United states since I was 20, I’m currently 35. We moved to Texas from New Jersey under 10 years ago. I was still very hesitant and not very confident about it. I would bring stuff in for Christmas, make these little baggies, and people were constantly asking me about the granolas, the granola, the granola. So, finally we decided to go ahead and try to see if we can make a couple of bucks here and there by selling it to people at my crossfit box. Joshua Wiseman is the creator of Slim Palate Cookbook and I was invited to go to his book launch which was actually being held at our local farmer’s farm. My husband decide that it will be a great opportunity for me to bake a whole bunch of bars and bring them with me. It was just gonna be loaded with people that my husband thought would help me get the word out. We brought the bars there and basically that’s how the granola bar started. We called it, ‘The Granilla bar’ because the same 7-year-old who had thought that I should sell these things… she wasn’t calling it granola, she kept calling it ‘granilla’ so when we finally got to come up with a company name we just decided to call it whatever she was calling it. The very, very first time I saw someone take a bit of the bar and their eyes kind of just lit up and they said, ‘Oh my Gosh! This is the best granola bar I’ve ever eaten and it’s good for me.’ I can’t say that was exactly what they said that but it was along the lines and I have never had anyone react differently since. That is the most amazing feeling ever. Not being able to move forward due to lack of finances. The inability to just access money is probably been my biggest struggle.Whole Foods approached me a year ago and they wanted me in their store which was fabulous news. But we couldn’t do it because of our packaging. We’re still waiting to do it because I need to change my wrappers so that they’re heat sealed. This takes a lot of money that I just don’t have until I can get a solid investor. I just went with it. My husband helped me and we worked together on trying to just do everything we logically thought we would need to do. At the Slim Palate Cook book signing, I met quite a few people and one of them was April LeMaster. (April works for Diane Sanfilippo’s). She sat with me in that book signing and she gave me advice. She said ‘you need to be at Paleo FX this year, you need to make sure you have an Instagram account, you need to make sure that you need to have a Facebook account that’s not just your personal one, you need to have a Twitter account, you need to go home and set up a website that’s able to you to make money even if you have one order a week,’. She kind of set my path that way and from that I kind of start posting things on Instagram. Tell us your biggest piece of advice to someone who is just starting out. Just go with your gut. You’ll never really be prepared enough. Just try and have all your ducks aligned, know your business plan. Figure out your goals right away so that you don’t end up in a bit of a rut when you’ve reached these milestones that you’re not ready to overcome. I hope to have everyone in the nation know what The Granilla Bar is and I hope that everyone’s had a chance to eat one. With time and finances and with the proper crew we can get to all that. What do you say to people when they say to you about the cost? If it’s a straight up customer I’ll explain to them that the products are all, individually expensive. It’s a very expensive product to make. My ingredients are not cheap. I get the best ingredients I can find and if I go deeper with a conversation with you I’ll tell you that I don’t make as big of a profit as some people might imagine because my costs are so high at the moment. For the last 2 years all my bars have been handmade. I go to crossfit everyday. If I happen to miss it then I’ll go for a run. Because running helps alleviate whatever stresses I have. I get to think about things and organize my brain. That I don’t have it altogether. I’m not this perfect mother. I’m not this perfect wife. I’m not this perfect women. I do the best i can with what i have. The biggest thing is people are like whats your secret? The only secret i have is that I just keep going. I don’t stop. No More Multi-tasking! Let’s get focused! Back to talking about focus. I’ve been going on a bit of a tear about things that are really important to me and I hope they’re inspiring you. So far we’re talked about the power of no, priorities, stress…and today is more about focus. Focus is something that I’m really working on because in order to work better and be more successful, I need to improve my focus. If focus is something you need to work on then I have a few thing for you to try! 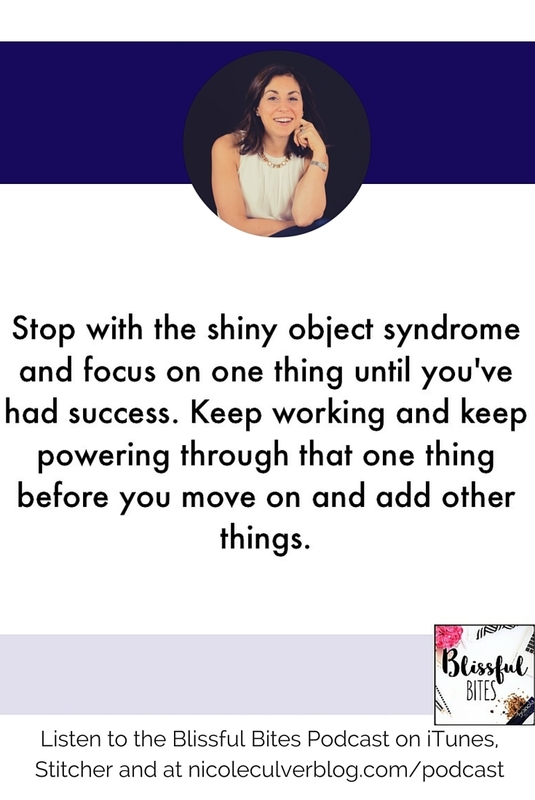 As entrepreneurs, I think a lot of us have shiny object syndrome. We are always looking for the next best thing. We’re always kind of popping around from thing to thing and multi-tasking and doing a million things. My goal for myself and for you is to really get away from that. We need to stop the multi-tasking honestly, I want you to think about where do you need to focus. We need to stop being all over the place and we need to focus on one thing at a time. If you feel like you are doing so many things and you keep adding things in and you’re feeling overwhelmed because you’re doing too much, then we need to stop! I’ve talked about figuring out your priorities and always going back to saying no. It’s all kind of in alignment. Have your priorities, say no to things that don’t fit with your priorities and get focused. If you’re feeling stuck in your business and you feel like you’re doing too many things then let’s try out some of these exercises. I love this quote from Chalene Johnson says, “When you don’t focus, you’re cheating yourself of success and the life you deserve and your life’s purpose. Now what? We need to focus. How can we maximize our time? We’ve really need to get to know ourselves. Do you work better in the morning? Are you a morning person? Are you a night owl? How does your brain work the best? For me, clearly I am a morning person. I’ve always been a morning person. At night, I’m exhausted, I’m wiped, I have been a business person and a mom all day and I just can’t think at night. I want you to think about it, when does your brain peak? Do you work better in the morning? Do you work better in the afternoon? Or do you work better at night? The second thing that I want you to think about is your environment. Do you need to have absolute quiet? We talked about how distractions use energy. When you’re multi-tasking or you are in a room where your phone is going off or you hear things outside, you need to leave your work and focus on those people. Every time you get distracted, you are using energy and your brain is toggling back and forth and that is contributing to you being even more exhausted. Think about your environment, what do you need to do? Do you need to go to a quiet place? Can you actually get work done effectively if you’re sitting at Starbucks? The third thing I want you to think about is alerting your friends and family when you are working. If you’re working and you’re getting texts, emails and phone calls from your friends and family, I encourage you to just send a text message or an email or call them and say, “I’m working over the next few hours so I won’t be able to get back to you but as soon as I can I will. Really eliminate those distractions, figure out your work environment and find out when your brain is at your peak. You may be thinking, “No, I can multi-task,” or “No. It does work for me.” I want you to think about these questions. Do you feel like any of these or all of these are you? Do you feel like when you get a text message or you get an email or you see a Facebook notification that you need to respond right away? You need to get back to that person and you need to not let them wait. Is that you? Do you pop around from thing to thing, answering emails, listening to podcasts, on Youtube and you are just kinda going back and forth? Do you feel fuzzy, tired and unable to focus? I know I have those days where I will say to my husband, “I know I was busy all day but I don’t actually know what I’ve gotten accomplished.” Those days are super frustrating because you kinda spend all day going back and forth and just basically doing busy work. I know it can be overwhelming and not an easy habit to fix because we are so used to multi-tasking through different tasks throughout the day. I want you to stop because the more you get focused on one thing, the more you’re going to be able to get done. Let’s go back over some things we can do to help us really focus and work as effectively as possible. 1. Turn-off your phone. Put your phone in another room or just put it in airplane mode. Make sure no one or nothing can possibly distract you. 2. Set work hours. Figure out what hours you can work best and then are you going to work for one hour? Two hours? Three hours? Just block it off. Then do a power hour. Work for 45-40 minutes and work on one thing that entire time. Focused on one task, NO multi-tasking. Work 45-50 minutes straight. Then get up and get a 15 min break, go have a snack, go outside, go for a short walk, do some squats, something that will rejuvenate you and give your brain back some energy. Bottom line: Work on one thing at a time and don’t flip flop between tasks. It’s going to help you be more effective with your time. Successful people are present in what they’re doing. They don’t get distracted and they don’t worry about being people pleasers. What are other things you can do to set you up for success? Environment is a huge factor. For me, if my kitchen is a disaster or my house is a disaster, it’s really hard for me to clear the brain space for me to work effectively. I make sure that my house is in order the night before so I can make sure I can get right to work after my morning ritual. My workspace is in my guestroom/office so I made it a really nice and inviting space. It has nice light, I hung nice things on the wall, and it’s just a place that I actually really want to be. I used to be a laptop person and carried my laptop around. I was so guilty of sitting on the couch while my kids were playing and being out there with them. That was making me work 10 times slower maybe even 20 times slower. Set your environment up for success. The next thing is get off the internet. If you have a million tabs open, you’re going to be distracted. Keep only the tab you need open. If you don’t need the internet, just Word, then turn the internet off and don’t let yourself be distracted. Figure out your work flow or morning ritual. For me, my morning ritual is I wake up, I have some lemon water, I go work out, I shower and listen to a podcast and then I get right to work. That allows me to wake up kind of slowly. That’s how I love starting my morning. I encourage you to figure out what works for you. I’m up before my entire family. I just love the quiet in the house. Get up early it takes a few days or a few weeks to get used to it but once you do it you will become obsessed. Figure out that best hour of the day and don’t waste it. Plan to do your hardest, most important work that’s going to move your business forward when you work best. If you work best from 7-8 in the morning, then don’t waste that time answering emails. Work on creating content. Use that really good brain power. Find the sweet spot and it will help you get ahead. Shift your day around that hour that you’re really working the best. Don’t waste time in your inbox. Stick it on your computer. You don’t want to be someone who does a lot of things and doesn’t do any of them well. Quit it with the distractions, get focused, try out the power hour and if you haven’t checked it out yet download my cheat sheet from last week that is going to help you reduce stress and really figure out what you really need to focus on. 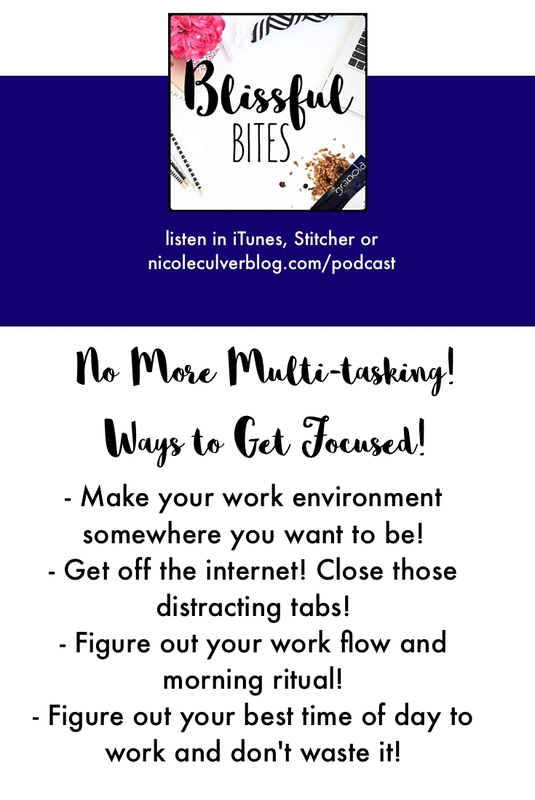 Click to listen to Fast Friday: Are You Still a Multi-tasker in iTunes! I want to hear about how you are getting focused! Download: CHEAT SHEET: Ways to Reduce Stress and Get Focused! https://nicoleculver.co/wp-content/uploads/2016/01/Blissful-Eats-Podcast-Image.png 800 800 Nicole C https://nicoleculver.co/wp-content/uploads/2017/08/Nicole-Culver-Logo.png Nicole C2016-03-11 04:00:052017-08-30 15:44:52No More Multi-tasking! Let's get focused!